Anush Shetty and I read with the kids at Premanjali trust. 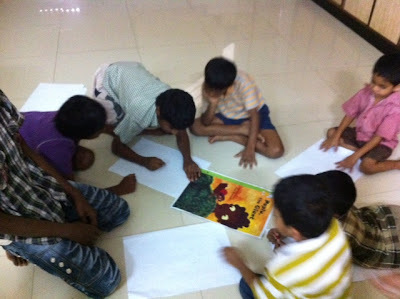 They were so excited about Zainab's super illustrations that we has printed out on A3 sheets, that they started to narrate the story using them as props. 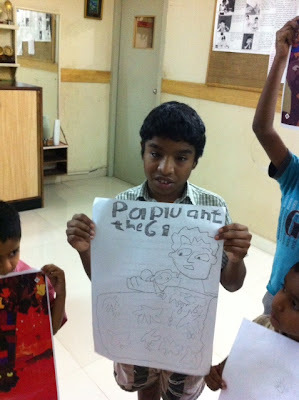 And then an impromptu, draw Paplu session, in which we found an artist. 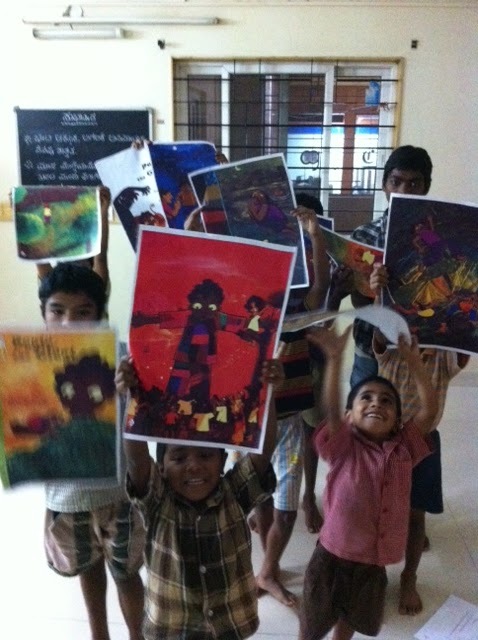 Thank you Pavitra Jayaraman and Anush Shetty for spreading the joy of reading!